Berries, melons, plums, grapes, mangoes..summer brings fresh aromatic fruits into our lives. They're delicious, beautiful, high in fiber, low in fat and vitamin rich. Summer fruits can boost immunity, reduce inflammation, and protect our cells. Some aid digestion. Still others are said to have anti aging properties and to help with disease prevention. Bottom line? Indulge in the sweet fruits of summer-- they're good for body and soul. 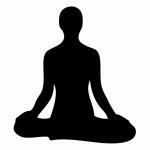 Meditation, a thousands year old practice originating in Asia, is still new to America. It entered our popular culture in the 50's, sprung to widespread awareness in the 60's and took root in the 70's. Today it's offered in schools, at major corporations and well respected medical facilities as a means of reducing stress and improving mental and physical health. Now advancements in neuroscience and imaging are enabling studies that suggest it may also slow aging. Read more: Can Meditation Slow Aging? Mental Health challenges are a hidden issue in America that impact 20% of older adults and 1/3 of all older people in nursing homes. Some notice their mental illness in earlier years while others encounter mental difficulties through chronic physical illness or experiences of aging. Less then 3% will consult a mental health professional and a disturbing number will elect suicide. How is mental illness defined in aging? What are the triggers in older adults? Why is it important to learn about mental illness in older adults? How might a mentally ill older adult impact you? Are you using Teladoc, MDLive, or Project ECHO? Have you downloaded monitoring health apps on your smartphone? Telemedicine, the remote delivery of healthcare and clinical diagnostics via internet, satellite, wireless, or telephone technology, is rapidly expanding in the U.S. and is central to Federal plans for managing aging America's care. If you haven't encountered it yet...you will. "Over the last 5 or 10 years what we've seen is an explosion of telehealthcare...in the management of chronic disease, in the management of mental health...we're seeing telehealth being used to provide daily ongoing care for patients...." states Ashish Jha, the Director of Harvard's Global Health Institute, in the video below. While insurers, practitioners, healthcare services, and government planners are well informed on the capabilities and goals of telemedicine the average elder needs to build awareness. Will I still see my doctor? Do I need special equipment? Why is healthcare changing? How will telemedicine change the way I plan for late life care?